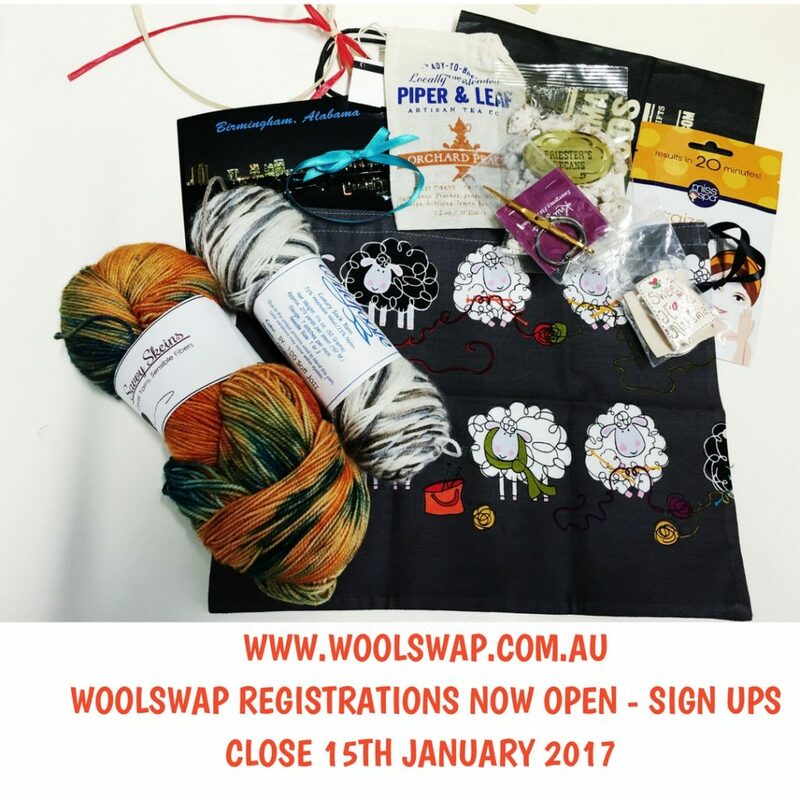 Yes that is right folks the first round of Woolswap is now open for 2017. This is an international Wool/yarn swap that is open to all Knitters, Crocheters and Weavers from all around the world. Registrations will only be open till the 15th of January, so get in quick to reserve your spot. Once registrations are closed, you will then be matched up with a like minded fellow woolswapper based on the information that you have provided in the registration process. Look forward to having you on board as a Woolswapper. My first Woolswap was a great experience! I feel that I made a friend out of the experience, as we talked back and forth several times about what ou favorite yarns and goodies were. It was so much fun picking out all of the items for my partner's package, and I actually jumped up and down my own package arrived! The wool was, of course, the best, but it was so nice to see the other goodies (chocolate, etc.) that my partner sent. If you like giving and receiving, and love wool, this is definitely the experience for you.